Here are before and after photos of the garter cowl I knitted. 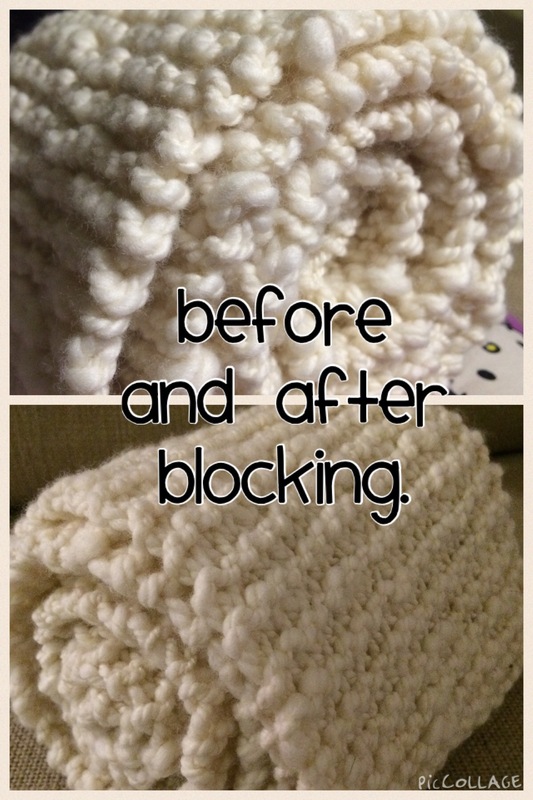 It was so soft and fluffy and squishy before blocking, and even though I was careful not to squash it, it flattened out and de-squishified. It so doesn’t stand up nicely at the chin as it did before. Now it drapes instead. I’m torn between being ok with it and just sending it on to its recipient, or making something I’m more pleased with/proud of. Thoughts? What yarn was this? I think it’s still fine and you did do all that work.